Recently I had the chance to sit down with one of Envoy’s first product designers, Jon Rundle. We chatted about his process, love for his team (and hockey) plus his guilty pleasure of finding inspiration on Dribbble. Jon Rundle, Senior Product Designer at Envoy. In your own words, what do you do at Envoy? I think in general I jump around and wear a lot of hats. Typically, I’m kind of your run-of-the-mill product designer, which involves a lot of different responsibilities. During the course of a project, I could be involved from the beginning, doing stuff like planning and roadmapping, to doing customer research when building a feature, to the visual side, which includes high-fidelity mockups and prototyping, through to the implementation phase, passing off assets to the engineers and QA. From time to time I’ll jump into the codebase and lend a hand. Also, because I’ve been around for a while there are random things that I’ve been pulled into, like producing some of our promotional videos and art directing photo shoots. How have you seen your role transform as the company has grown and do you notice a leadership role evolving because of your tenure? My role has certainly evolved over my time here, though the base of my responsibilities have stayed constant. When I first joined we were about 23 people and now we’re at 150 (and growing). When I started I was the only product designer so there were times that I was working on every product. As we’ve grown I’ve been able to step away from some projects and let others take over which has allowed me to focus on one thing at a time, which is nice. That being said, the transition of handing projects over to others and giving up ownership was hard at times, especially when it was something that I’d been working on for over a year. But in retrospect, it ends up being better all around because I’m not spread so thin. Now I can really do my best work on a project whereas before there was the challenge of only being able to do the bare minimum on everything because I was trying to do as much as I could as quickly as possible. I’m working with really talented people who are legitimately pushing me by either putting out work that’s even better than mine or by offering suggestions that can make my work better. As far as my role in the context of the team as a whole, I think what comes with being here for so long that does create a bit of a leadership role at some point. I mean, to this day I have all kinds of imposter syndrome when it comes to what I do, so it’s still weird for me to think of myself in a leadership role. But I think it’s a position I need to embrace more because I have a lot of historical knowledge of the company so I’m able to provide great feedback for others when it comes to stuff that they’re building. I’ve also been working in this industry for over 12 years now, so there is experience when it comes to that. Ultimately, I just really enjoy helping the team in any way I can. Your journey into product design was not your typical one in that you actually found your first love with computers through coding. Can you talk a bit more about that and how you made that transition from programming into product design? I got into design when I took my first job out of college at an agency. They just needed some design help, but as soon as I started doing design work I really fell in love with it. I’ve always been more on the UI design-side, not having formal graphic design training, but I think having the mix of coding experience and design works really well for a product design role. Being able to understand the creative visual side but also the fundamental technical part is very useful. In doing so, I’m able to know which design solutions would be more difficult to make and I think, overall, it helps alleviate some of the communication breakdowns that could happen in a cross-functional team. An image of Learn Mobile Design resource site, designed and created by Jon. You ran your own business for a while, which is a completely different skill set, but it just speaks to the fact that you are very much a self-starter and have an entrepreneurial side to you. Now that you are working in-house do you have personal projects that you do to get some of that energy out? Personally, I find side projects to be really valuable. I had one moment in my career where I experienced some pretty heavy burn out and I’ve found that one of the best ways to get past this is to work on a side project. For me, I like to work on something that is in the same vein of what I normally do but completely different in terms of what kind of project. As long as the project is completely open-ended and I have complete control or it’s just for fun, then it helps me more than just stepping away from my work entirely. I had one moment in my career where I experienced some pretty heavy burn out and I’ve found that one of the best ways to get past this is to work on a side project. My most recent self-initiated project was right before the holidays. I built this little site for a bunch of mobile design resources that I have found over the years. I’ve found it’s really hard to find good resources, so I thought it would be helpful to create a list of some of the better ones. Another project I did recently was for the church that I go to. They were changing their name so as a “creative” I got roped into helping lead that project as well as put together a new logo and identity package for them. I’m not a brand designer in any stretch of the imagination but I know enough to make me dangerous, haha. Following up on having your own thing, do you ever miss it? Yeah, there are always going to be aspects of running my own thing that I miss, but overall, I love the chance that I get to work with really talented and awesome people that I would never have had the opportunity to otherwise. It’s so much more inspiring and beneficial to long term growth and my career. It was too easy, as owner of my own thing, to not get pushed by anybody and plateau with my skill set. Whereas at Envoy, I’m working with really talented people who are legitimately pushing me by either putting out work that’s even better than mine or by offering suggestions that can make my work better. That’s a lot more valuable for me. As we’re chatting I notice a guitar behind you, is that something that you ever bring into your process or helps you in any way? When I’m blocked I find it’s something that works really well for me. If I’m sitting trying to mull over a problem, I’ll grab my guitar and just strum some notes, not even playing anything in particular. I find that because it’s something that I can do automatically, I can keep thinking on the problem I’m trying to solve. It helps focus me. I relate it to how people use fidget toys; for me, guitar is like that. Having the guitar in my hands helps me reset and just lets me focus again. 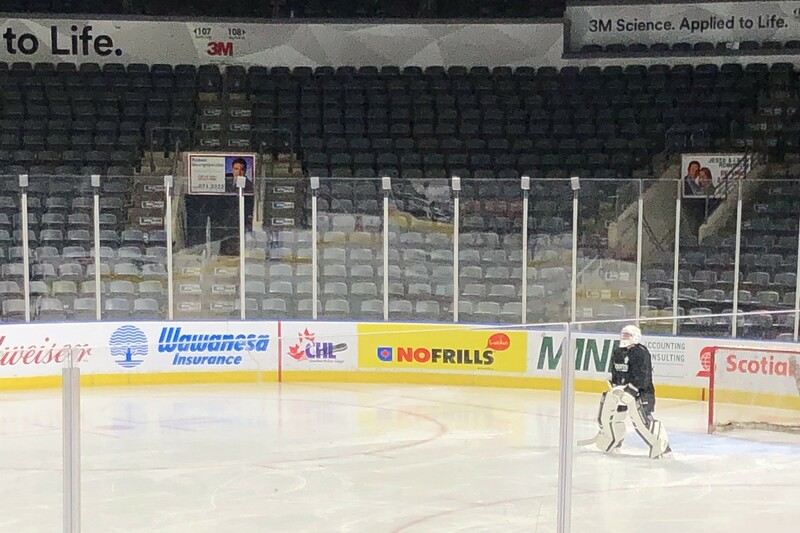 Jon playing a game of pick-up hockey in winter of 2019. If you weren’t a product designer what would you be doing? When I was young, I was really into hockey. I mean, that hasn’t changed — I’m still very much into hockey (I feel like that’s very cliché to say as a Canadian) — but when I was young I played for my high school team and competitive hockey. I was probably playing 8 or 9 times a week, and there was a point when I did try-out for a higher-level team, that if I had made it, I would have potentially been on a track to get up into a professional level. So as a kid, I did have some thoughts, like, could I play hockey for a career? Obviously that didn’t work out, but I always look back on those years of playing as very fond memories. Today I still play pick-up hockey about once a week and I try to be involved with sports in general, like playing baseball and golf. 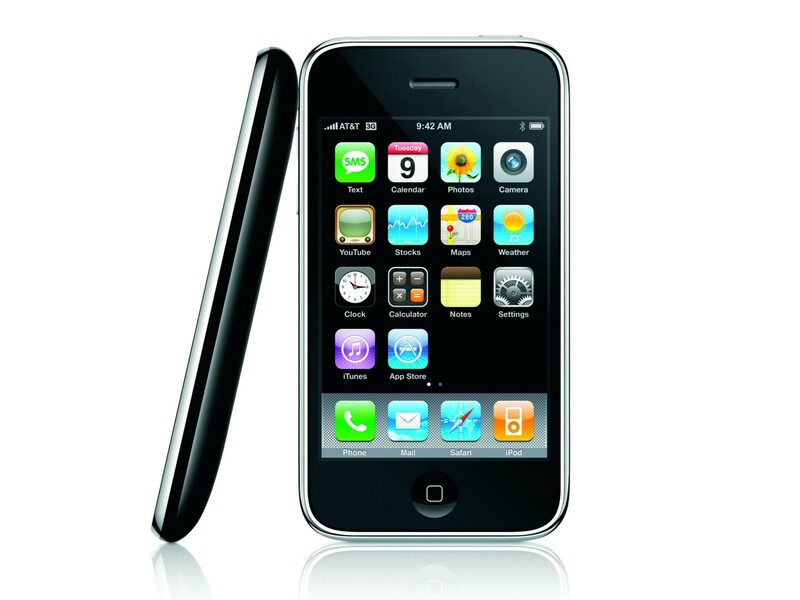 Apple iPhone 3G, the model that came to Canada. Jon was one of the first in line to purchase. In previous conversations, you’ve talked about Apple and iOS inspiring to you. What is it about these products that inspire you and how does that influence your work and your approach to design? I’ve always been what some might consider an Apple fanboy. But for me, Apple really opened up this world of what I love to do. I’ve always been way more focused on the mobile side of things and that basically stemmed from Apple launching the iPhone and the App Store. If you look at mobile design and it’s past, those are some of the biggest moments for the industry. I remember watching the first keynote of when they launched the iPhone in my college cafeteria with a buddy of mine and we would always talk about it. We were also the first two or three people in line at the Apple store to get the iPhone 3G when it came out in Canada. Why do we need to sacrifice aesthetics in order to have practicality? I think my passion for Apple stems from the fact that they were the first company to care about how things looked. As a designer, that was always important to me, especially in apps. 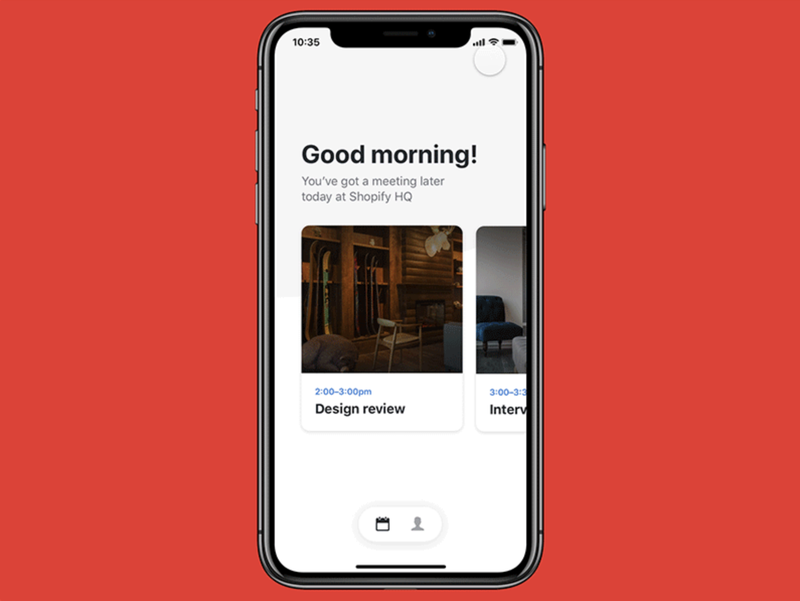 If there were two different apps and one looked great and functioned okay, and the other functioned great, but only looked okay, I (sheepishly admits) would probably use the app that only functioned okay because it looked better. With Apple, its hardware and software have always been beautifully designed. Dribbble shot by Jon, for team Envoy of Visitor Experience Exploration. See the fully animated prototype here. You’ve mentioned that you find a lot of inspiration on Dribbble. Knowing that it can be a controversial topic among designers, what is it that you find useful or exciting about the work there? There is a lot of good stuff going on under the crazy-unrealistic-this-would-never-be-a-real-thing type of work that I’ve always found inspiring. Why do we need to sacrifice aesthetics in order to have practicality? I’ll use the search function a lot to find specific examples of UI for a project I’m working on. Even in the most impractical examples, there’s still something there that can be used for inspiration. I think if you’re able to focus on the right parts of it there is a lot of inspiring work that you can tease out and it becomes a really helpful way to push boundaries. I like sitting in that middle ground, where designing something beautiful can still be intuitive and easy to use. 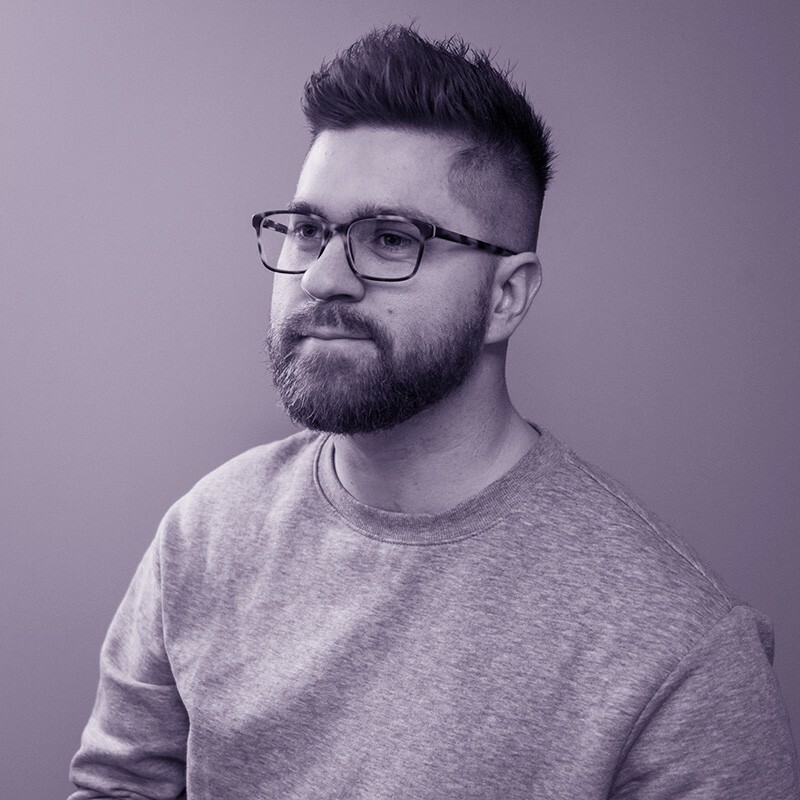 Jon Rundle is a Senior Product Designer at Envoy and has been with the company since 2015. You can find him working remotely from his home town of London (no, not that London), Ontario, Canada, where he lives with his wife and toddler son. You can follow Jon and see more of his work on his Dribbble. 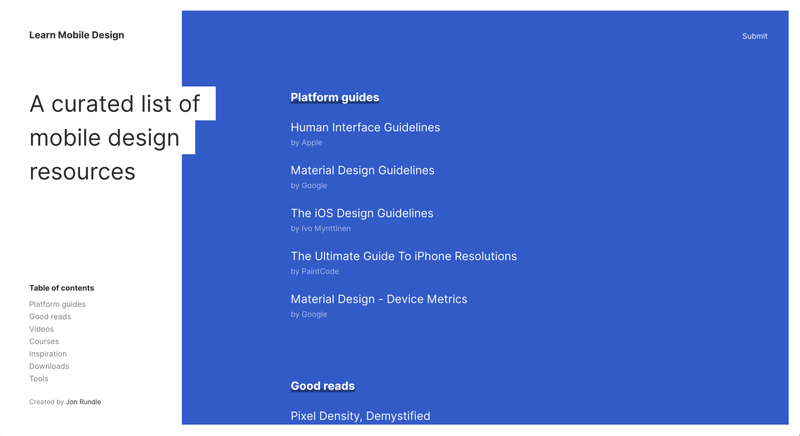 Be sure to visit envoy.design and subscribe to get notified when we publish something new. Thanks to Katie Riley, Wells Riley, Jon Rundle, and Amy Devereux. Designer by the way of dance. Stories and ideas from designers that challenge the workplace status quo.